Home is where the cookies are! Nothing will make you feel more at home than the smell of fresh home baked cookies, and boy do we have you covered there! 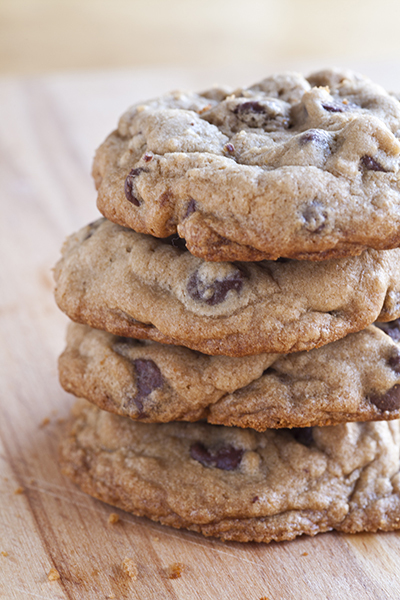 This is one our signature desserts at all our open houses, a warm chewy Chocolate Chip Cookie. You can find the recipe below, OR better yet come to one of open houses & try one for yourself. Contact one of us for the date, time and location of our next open house! 2. Cream together butter, white sugar, brown sugar vanilla & eggs until smooth. 3. In separate bowl sift flour and add baking soda, salt, & chocolate chips. 4. Fold together all ingredients until combined. 4. Drop onto a greased pan by a spoonful’s & bake for approximately 10 minutes or until golden brown.